I am lucky enough to live not far from the New Forest, something I deeply appreciate living in a city. Being able to drive for twenty minutes and be lost (well probably not more than a hour from a rural pub at any place) in the woods surrounded by deer, horses, trees, moorland and rivers is a great thing. 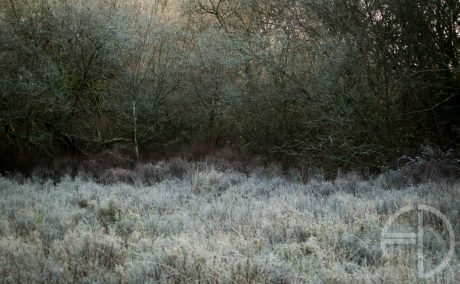 So on a early morning start in the depths of a British South Coast winter which is mostly wet but on this day a beautiful frost, i set off with camera in hand. I have taken a thousand photos of the forest, but this is one of my favourite. I love how the white of the frozen grasses contrast against the almost fractal green darkness of the tree branches above. All those books on composition are paying off with the use of the rule of thirds and leading lines of where the forest meet the opening. All in all, it was worth getting up early on a rare day out of the office.